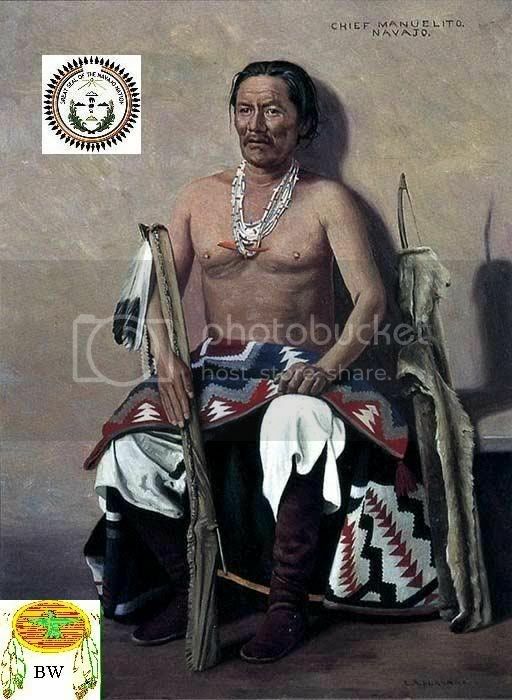 Born into the Bit'ahni (Folded Arms People) clan near Bear Ears Peak in southeastern Utah about 1818, Manuelito was not well known until he was elected headman after the death of Zarcillas Largas (Long Earrings). He was a noted warrior and married the war chief Narbona's daughter. Later, he took a second wife after a raid on a Mexican settlement. Manuelito is spanish for "Little Manuel". His Navajo names included Hastin Ch'ilhajinii or Childjajin, meaning "The man of the Black Weeds"; Ashkii Dighin, or "Holy Boy", which he was called as a youth; and Haskeh Naabah, or "The Angry Warrior," his war name. At the beginning of the Mexican war in 1846, the United States quickly occupied New Mexico. To punish the Navajo for stealing lifestock, Colonel Alexander W. Doniphan led his Missouri volunteers into the Navajo Homelands. Since each Navajo headman was responsible only for the acts of members of his group and there were no centralized head chiefs, there was much misunderstanding between the Navajos and the whites. Hiding in their rugged terrain, and particularly in the recesses of their sacred place, Canyon de Chelly, the Navajos avoided any major military conflicts with the Americans. In 1846 and 1849, Navajo headmen negotiated treaties with the American government, but they avoided U.S. control. During the 1850's, Navajo leaders such as Manuelito had become wealthy through agricultural pursuits, livestock raising, and raids. But disputes emerged over grazing rights at the mouth of Canyon Bonito near Fort Defiance between the Navajos and the U.S. soldiers. Although the Navajos had grazed their livestock for generations on this land, the army wanted it as a pasture for its horses. The Americans killed some Navajo horses; the Navajos took army horses to compensate for their lost mounts. 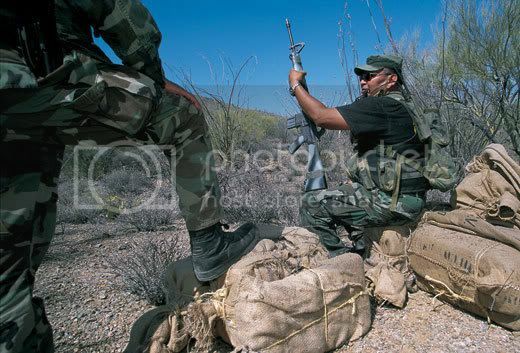 At this point, Zarcillas Largas stepped down as a headman, stating that he could no longer command the respect of his men, and Manuelito was elected as the new headman. In 1859, as a consequence of the continuing unease, Manuelito's home, crops, and livestock were destroyed by U.S. soldiers in a punishment raid for his people's past transgressions. In 1860, Manuelito and Barboncito retaliated in an attack on Fort Definace.